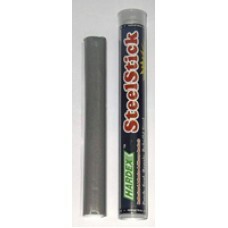 SteelStick Steel-Reinforced Epoxy Compound Hardex SteelStick Steel-Reinforced Epoxy Compound is a two part steel-reinforced epoxy compound that repairs and rebuilds substances made of metal in minutes. It rebuilds small engine parts, seal leaks and fill cracks. 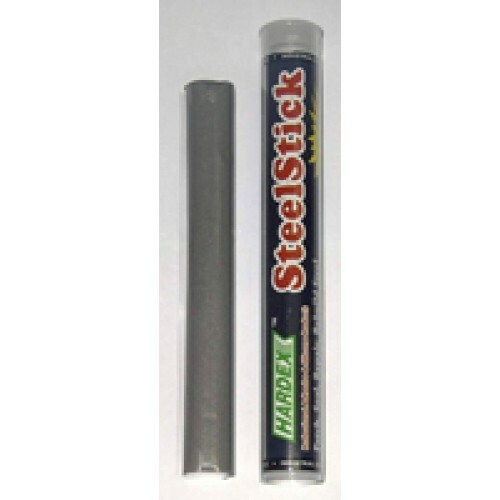 SteelStick has a work life of 3-5 minutes. After 6-30 minutes it will hardenand bonds well to metal. It can be drilled, tapped, machined and sanded when fully cured.